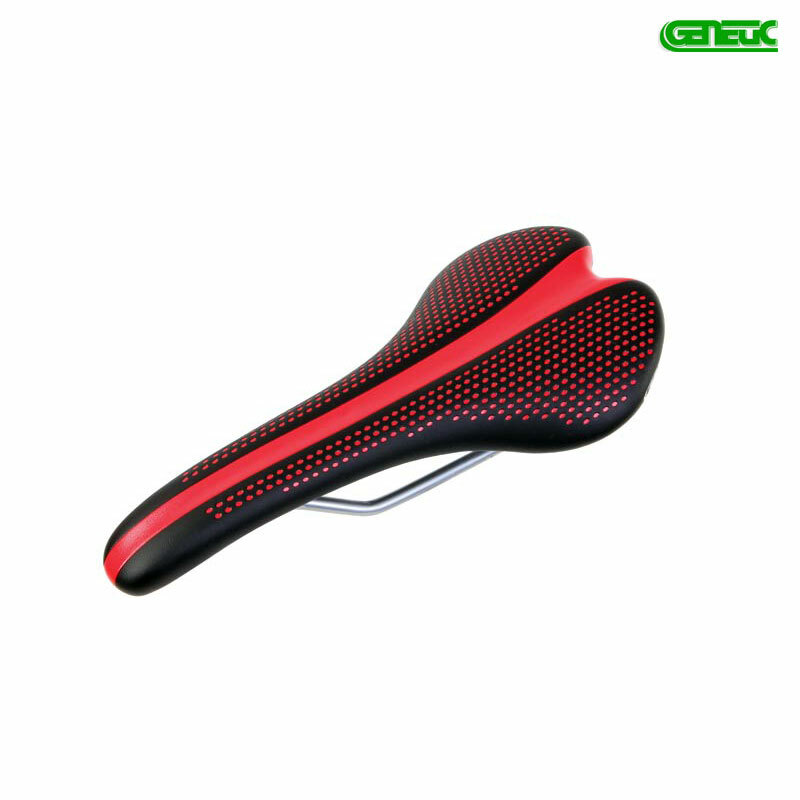 High density padded, perforated style, water resistant mile-eating sportive saddle. Made for Genetic with cutting-edge technology using the finest materials by a World leader in performance bicycle saddles. The high density padding and ergonomically shaped, high-tech base offer exceptional comfort levels. High tech patented "Arc-Tech" suspension system for the durable Cr-Mo rails increases shock absorption and combines with the "Starcut" base to give strategically placed pressure relief and an ultimate reduction in road vibration.